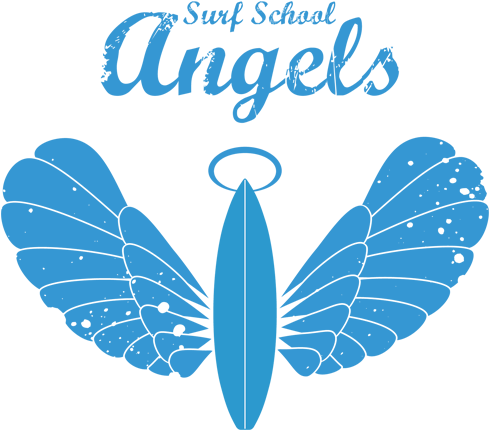 ANGELS SURF SCHOOL has no control over the creation of cookies that are used by content providers that can be inserted or shared on the ANGELS SURF SCHOOL website, in particular the YouTube content. By accessing these publications with such third-party content, cookies from these websites may be created. _drip_client_6994213 Angels Surf School Remembers previous actions when browsing a page again during the same session. wordpress_test_cookie Angels Surf School The cookie is used to check whether your web browser is set to allow, or reject cookies. wp-settings-time Angels Surf School Allows optimized display and use of the wordpress website by the Administrator. wordpress_logged_in Angels Surf School Indicates when you’re logged in, and who you are, for most interface use. wordpress_sec Angels Surf School This cookie is used to store your authentication details. Its use is limited to the admin console area. _gcl Angels Surf School Conversion Linker tag: it automatically detects click information of ads in landing pages and stores this information in originals cookies in its domain. _icl_current_admin_language Angels Surf School This cookie remembers the language used by the user. _icl_current_language Angels Surf School Stores a language value for the website. Where the cookie is set in response to a user action or request, and as long as it has a short lifespan, it can be treated as strictly necessary. devicePixelRatio Angels Surf School This cookie records your device’s pixel ratio. If your screen resolution is a retina or Hi DPI screen, then the website may choose to serve you higher resolution graphics. _gali Angels Surf School _gali is used by Google Analytics to determine which links on a page that are being clicked. _gid Angels Surf School These cookies are used by Google Analytics to distinguish unique users. _gat Angels Surf School Used by Google Analytics to throttle the request rate – limiting the collection of data on high traffic sites. 1P_JAR Google This cookie is used by Google to gather website statistics, and track conversion rates. NID Google Google set a number of cookies on any page that includes a Google Map. While we have no control over the cookies set by Google, they appear to include a mixture of pieces of information to measure the number and behaviour of Google Maps users. CONSENT Google Cookie consent setting. SIDCC Google Security cookie to protect users data from unauthorised access. UULE Google These cookies are used to collect information about how visitors use our site. AID Google Ad Services Google advertising cookie used by marketing team for advertising and event tracking. IDE DoubleClick.net These are publicity cookies used to improve advertising. Usually used to target publicity according to contents that are relevant for a user, improve performance reports of the campaign and avoid showing advertisements that the user has already seen. wd Facebook These cookies are used for Facebook features across the site, such as links to our fan pages and social media sharing buttons on certain content pages. Information is collected to track for example which articles you liked and that you did so at our website. You can block the creation of cookies through your browser settings. However, blocking all cookies (including login cookies) may not allow you to access some features of the site. Usually, any changes to the web browser level regarding how cookies are used and / or accepted can be performed in the “Options” or “Browser Preferences” section. If you still have questions or concerns, please contact us: angelssurfschool@gmail.com.